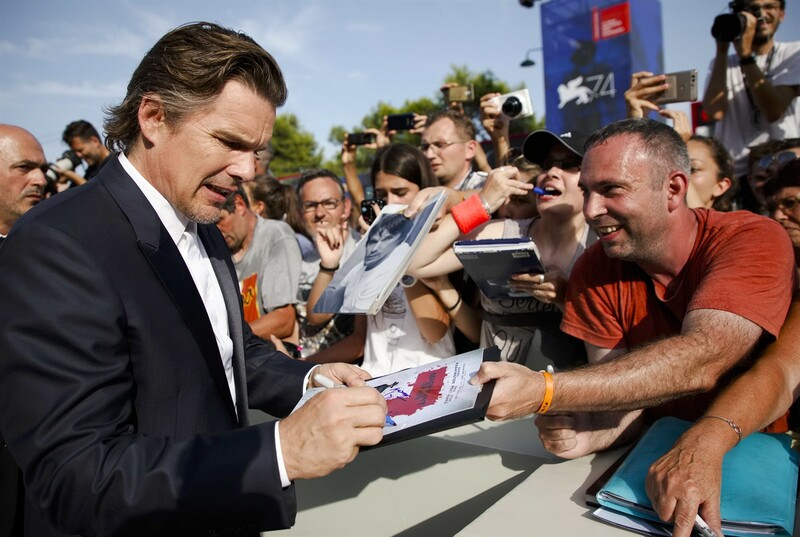 Plenty of celebrities have flocked to the Italian city for the occasion of Venice Film Festival. zabel Goulart, Isabeli Fontana and Kristen Wiig are amongst some of the famous faces who have made a fashionable splash since touching down. Amongst this year's most anticipated premieres are a new fairytale fantasy from Pan's Labyrinth director Guillermo del Toro, titled The Shape of Water, the Matt Damon-starring Oscar hopeful Downsizing and George Clooney's latest directorial effort, Suburbicon, starring Julianne Moore, Oscar Isaac and Matt Damon.